PIERCE students have a long-standing tradition of raising funds to support both charities and fellow students studying at the College every year during the annual PIERCE Open House – to be held April 11-12 this year. Last year, PIERCE students were able to raise more than 18,000 euros towards ten PIERCE scholarships and funds in support of the Smile of the Child charity as well as the Melissa orphanage for girls – both very popular causes at ACG. ACG is very proud of its student fundraising activities in support of the College, which inspire a culture of philanthropy among its community of students, faculty, staff and friends. The PIERCE Open house will be held on Friday April 11th and Saturday April 12th, featuring a host of popular activities and performances. The annual event showcases the work of Student Activities, including a host of theatrical and musical performances, concerts, art shows, exhibitions, sporting and club events, as well as activities with societies. PIERCE Open House 2014 is being organized by the school community and the 15-member student councils, and aims at sharing with PIERCE parents, students and the community at large unique aspects of the school and what its student community enjoys, learns and accomplishes. This year, funds raised will go in support of the Children’s Villages SOS (Παιδικά Χωριά SOS), and the Special Junior School of Pendeli (Ειδικό Δημοτικό Σχολείο Πεντέλης), with which the school maintains a close long-term cooperation. Money raised this year will go towards the PIERCE scholarship fund for awards to students who excel and to students facing exceptional financial challenges. Funds raised will also go in support of the Children’s Villages SOS (Παιδικά Χωριά SOS), and the Special Junior School of Pendeli (Ειδικό Δημοτικό Σχολείο Πεντέλης), with which the school maintains a close long-term cooperation. 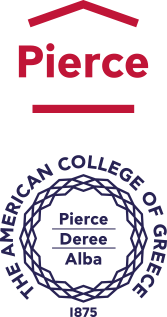 The success of PIERCE Open House is based on the school’s foundation and its mission “Non Ministrari Sed Ministrare” (Not to be served but to serve) as well as to the collective support of the student community, and the empowerment and support provided by ACG faculty, staff, alumni and friends. More than 3,000 visitors and hundreds of volunteers are expected to attend.